Made a visit recently to Downtown Disney where I met up with some friends from Pennsylvania. They asked me to pick a place for lunch and I narrowed the choices down to Tortilla Jo's and Rainforest Cafe as places they might enjoy on their first visit. We decided to find out what the wait was like at Rainforest Cafe and were told it would be 25 minutes. About ten minutes later we were called to our table. To get to our table we followed some gorilla tracks on the ground, took a flight of stairs up past jungle foliage and creatures (this place really plays up the rain forest theme), and were seated next to a giant saltwater aquarium. Perusing the menu I found one Mexican item: the "Amazon Fajitas: Sizzling chicken or beef Fajitas served over grilled onions and bell peppers. 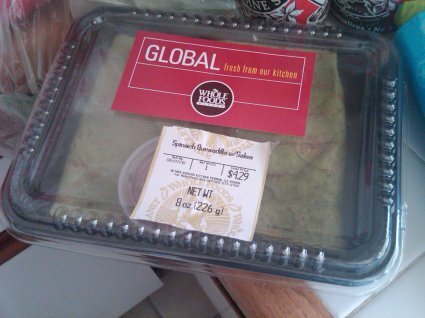 Served with sour cream, lettuce, Cheddar cheese, pico de gallo, Caribbean rice, black beans and warm flour tortillas." For food from a place that is more about theme and not very much at all about mexican food these fajitas were still serviceable. The chicken was a tad dry but it's not meant to be eaten alone so everything was fine when made into fajita tacos. 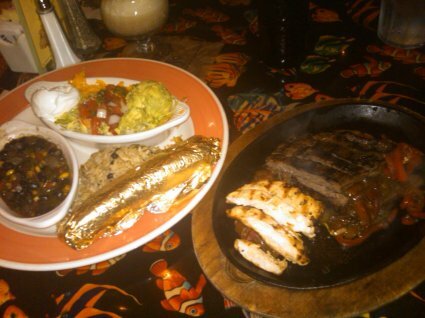 The one thing missing from this fajita platter was guacamole which should be a standard part of any fajita platter. No guacamole meant me using the sour cream more than I normally do. Still, there wasn't anything about my meal that I actually disliked and the company was good and the atmosphere is something you have to experience at least once. OC Weekly's "Best of OC"
Following hot on the heels of the OC Register's "Best of OC" publication, comes the OC Weekly's "Best of OC" issue. It appears that at least in the Mexican food category the OC Weekly "Best of OC" voters know a little more about the Mexican restaurants that are out there than do the aggregate of Register "Best of OC" voters. Speaking from my vantage point of having been to over 100 Mexican restaurants in the county and counting I know how to go to the places each paper mentions and get good food, but I think the Weekly's winners this time around will point readers who are looking for a new, quality Mexican food experience in a better direction overall. Follow the link to see who the Weekly's readers voted for in the Best Mexican Restaurant category. Actually the first place mentioned is writer's choice and the other place is reader's choice. I say they are both good choices. Thanks to loyal reader Chaz for the heads up. And over at Monster Munching, Elmo Monster admits to having had a hand in selecting some of the winners mentioned in this issue. Since I'm back working near the Irvine Spectrum again it's one of the easy places to get to for lunch and when you're into Mexican food and don't have a of time for a sit-down dining experience then Wahoo's ends up being the default choice (although soon there will be one other such choice). On my first visit there since starting this new job I noticed another customer with an intriguing looking dish I had never seen before. When I went back for my next visit I perused the menu and guessed that that dish might've been the Veggie Bowl (#9 on the menu). So I ordered that, figuring that even if it wasn't what I had seen before I was still at least trying something at Wahoo's that I hadn't tried before. While I don't know how Mexican this dish is it was still pretty tasty and still came with Wahoo's excellent cilantro rice and cajun beans (I usually get their black beans but do change things up a little from time to time). The official description is: "Banzai veggies pan-grilled in teriyaki sauce." The vegetables on it are red and green peppers, cabbage, mushrooms, zucchini, and broccoli, served over rice with beans on the side. 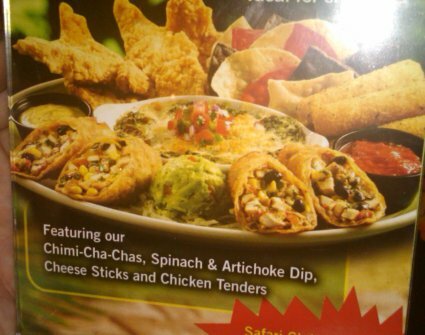 So, if you ever find yourself simultaneously in a Wahoo's mood and a vegetarian mood this is the item to order. Following up on a couple of suggestions, I tried a new place twice this week. 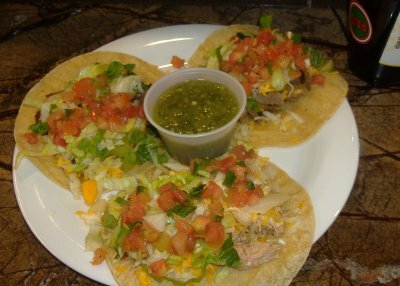 Tacos Jalisco has been around since 1989 and is a real locals favorite. It sits behind a Taco Bell, which is kind of like a decoy to divert those who don't appreciate real Mexican food. At lunch they do a brisk take-out business with a lot of tacos, tortas and burritos going out the door. A good salsa bar is clearly divided between the mild and hot salsas. On my first visit I was in a hurry so I got 3 tacos to go. I tried carnitas, al pastor and lengua. All three were very good soft tacos with distinct flavors for each meat. The lengua was a real stand-out. It was melt-in-the-mouth with that deep beefy flavor. Most of the tacos are a dollar but lengua will set you back $1.25. If you have time to eat in for lunch they have many $3.50 specials. I went back later in the week with my wife. This time we dined in. The place is kind of odd - it's part sit down restaurant, part local's diner and part taqueria. The patrons are a pretty even mix of Hispanics and gringos. Contemporary Mariachi music was going full blast. The basic combo plates start at only $3.50 but you can get specialty plates up to $13. So they really cover the range from $1 tacos up to full seafood platters and fresh oysters. Chips are served with a nice fresh red salsa that I'd like to see chunkier. I saw one customer solve that problem himself by getting some pico de gallo from the salsa bar and adding it in. My wife went with her usual litmus test for a new place and took advantage of one of those bargain combos. She picked the cheese enchilada and hard shell beef taco combo. The red sauce had a distinct hint of cinnamon that we enjoyed but might not be to everyone's taste. For her the portions were just right for a good meal. She gave thumbs up to both the enchilada and the taco. Because I enjoyed the lengua so much I tried the full dinner. Lengua en salsa verde runs $7.50 (one of the more expensive items) and like most plates came with rice, beans and tortillas. The beef tongue was just as tender as before and very good in the green sauce. The rice was pretty average but the beans were better than usual. I suspect some serious pork fat helped the flavor. 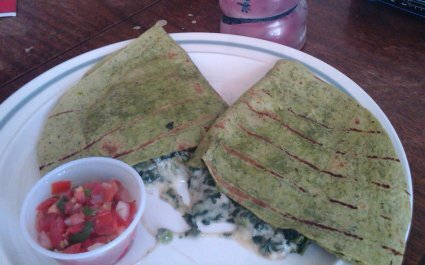 They serve a lot of shrimp dishes that looked very tempting including quesadilla de camarones. They also feature an assorted seafood platter for $13 a person, but you need a minimum of 3 people for an order. Here's Shelly B. with her second review which is actually also this blog's second review of El Matador in Costa Mesa (not Newport Beach, although it's close to NB). Shelly had told me this is the region that would be easy for her to focus on and I had read that some remodeling had gone on at El Matador so I asked if she could cover it and a couple days later there was a review in my Inbox. After reading it, be sure to check out her high quality photos at the end. El Matador recently got a facelift and it turned out well. Established in 1966, its exterior and interior had remained the same for 40 years — Unpretentious on the outside, yet escapist by way of its comforting aromas and deep booths inside. There's definitely something to be said about that, but its new exterior paint color and interior addition are very nice. All changes tie in with the original dining room, which is on the left side of the restaurant as you walk in. The right side holds the new dining room and bar area, which feels casual and airy. It officially opened on Cinco de Mayo 2007. They now offer a choice of 150 tequilas, which are prominently displayed against a large mirrored bar. It's fun and attractive to see. Having been open for over 40 years, El Matador is heading in the right direction. One can now choose to eat on either side of the restaurant. It can be a tough decision. On this day we chose old school, since I like those large red vinyl booths so much. They're a bit more private and nostalgic. I do, however, want to hang out in the expanded bar area another time. Although the transfer of ownership is relatively new, the head chefs have worked there more than 20 years. The food remains consistent. We ordered a Tapatia, not to be confused with Talapia, the fish. El Matador's Tapatia is a flat-layered Cheese Enchilada with a fried egg on top. It had the perfect amount of enchilada sauce and cheese. We highly recommend it. In addition, I had a Chili Relleno and Chicken Taco (hard-shell) with beans and rice. The taco was perfectly crunchy and tasty, but you better eat it fast before the juices come out. The Chili Relleno was good, thin with lots of melted cheese on top. A friend ordered the Cheese Crisp. Sounds good, huh? It's a well-named flour-shelled Tostada that includes chunky beef, chili con carne and melted cheese on the bottom. 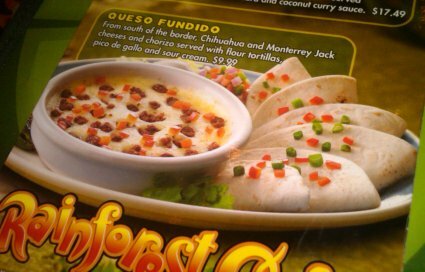 Here's a tip for you: If you order the Cheese Crisp, be sure to order it under the 'Tostadas' heading rather than the 'Mexican Combinations' heading; it's $2.00 less. It happens to be listed twice on the menu. We asked the server about the difference between the two and learned they'’re exactly the same — To save a couple bucks be sure to conspicuously point to the Cheese Crisp on the right side of the menu. To be fair, it appears the takeout menu corrected the issue to the greater amount. One more food item to mention is the Carnitas Taco. It's fantastic and includes a generous scoop of guacamole. I've ordered it on a few past occasions. In addition to the above, they offer all the traditional favorites, combination platters, and many a la carte items. Breakfast is served all day, which includes Huevos Rancheros and Chorizo con Huevos, two of my favorites. They have a Children's Menu, and offer Luncheon Specials, Catering Services and a Full Bar. El Matador is staying true to its old school roots, while seamlessly expanding to offer more exciting things. It turned out to be a good combination. Grab a private booth and/or stop by the bar to try one of their tequilas. The atmosphere is welcoming and the variety of food and drinks is immense.– Now it happily fits more people. It's worth checking out. If you picked your Register up off of your porch yesterday and noticed it was even heavier than the normal Friday paper that's because it had the huge 14th Annual Best of Orange County People's choice oversized magazine in it. If you read the Register online yesterday, well, it probably didn't feel any heavier. If you didn't read any version of the Register yesterday then it might be time to get more in touch with your community. On page 23 they mention the three most popular Mexican restaurants based on the votes of people who put forth the effort to vote. Read the article to find the three winners as well as a hidden gem that gets honorable mention. Another one of our faves here at the blog gets mentioned as the second best new restaurant of the year. The print version has all sorts of coupons in it that could come in handy. If you live anywhere in or near Tustin or Irvine you must know about the new mega shopping center called The District at Tustin Legacy (which is actually in Irvine) which is nearly a clone of the Tustin Marketplace, which itself is in Tustin and Irvine (confused yet?). Before its grand opening on August 17 I'd made a few trips there to eat at Chick-Fil-A (a habit I picked up when I lived briefly in Florida), watch movies at the theater (before the general public knew it was actually open), and sample food at the enormous Costco. Having read Nancy Luna's preliminary report on the coming Whole Foods Market I was interested in getting there as soon as I could. Due to a misunderstanding on the opening date I actually ended up there the day before it opened at which time I took the first picture shown above. It wasn't until about two weeks later that I made it back for real. When I walked in the first thing that came to my mind was, "This is like a food version of Disneyland." Unsurprisingly I read in the OC Weekly later that night that the Weekly's food columnist, Edwin Goei (aka ElmoMonster), had referred to it as a "Disneyland for foodies," in an article entitled, fittingly enough, "Disneyland for Foodies" (and if I may be allowed to go off on another tangent I should add that when I lived in Hawaii I got my groceries at a supermarket called "Foodland" . . . and I'm writing this entry immediately after getting back from a Friday night trip to the real Disneyland). Somewhere in the back-quarters of this gustatory amusement park sits a churrascaria that doubles as a taqueria ready to serve up Mexican food for those who can't wait to get home and eat. So I ordered the "Tres Tacos," one with each kind of meat they offer: carne asada, chicken, and carnitas. They also have a vegetarian variety. Heavy on the seasoning, made with very uniform machine-made corn tortillas, shredded lettuce, and lots of pico de gallo salsa and some shredded cheese this is Mexican food that cuts the mustard if it's the most convenient thing for you at the time. One thing I should add is that these tacos do not travel well. When I got back to my place to eat them they were dripping wet from all the excess pico de gallo water. If you order the tacos I'd suggest that you eat them there. Next time I get Mexican takeout food there it'll be a torta or a burrito. Today's Orange County Register has a couple of items of interest to readers of the blog here. First up is an article on pan dulce (Spanish for "sweet bread") that is gaining a higher profile here in the county. The article mentions OC Mex Food favorites such as Taleo, Moreno's, and Taco Rosa. Also, the Register's fast food blogger, Nancy Luna, discusses Qdoba, the gourmet fast casual Mexican chain found in Los Angeles and elsewhere but not yet in Orange County, and two days ago discussed El Pollo Loco moving their corporate offices from one OC spot to another. Here's some pictures from when I went to the free Rasta Tacos tasting at Salt Creek Beach a couple weeks ago. This'll give you an idea of what's in store if you use their catering service for your party or business lunch or any other special event. At the taco stand you ask the cook for the kind of meat you want (Carne asada, al pastor, chicken, or vegetarian) and then you top it off however you like with the toppings available (onions, cilantro, salsa, guacamole) etc. I tried one of each flavor and enjoyed them all. They tell me they consider 6-8 tacos to be the average per person when they do catering. Rasta Tacos is also set to open a "stationary" restaurant in Capistrano Beach at the end of this month with more menu items such as burritos and tortas in addition to their tacos. Stay tuned for details on another Rasta Taco Tasting coming up.